WOW! What can I say, if you're into vintage hot rods, then this issue is a "must have" issue! 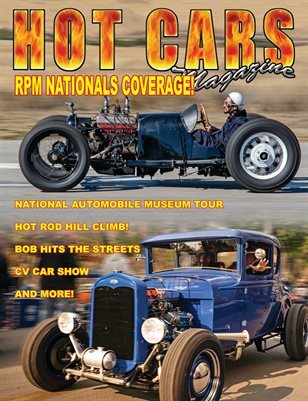 We have the Hot Rod Hill Climbs from Colorado, the RPM Nationals from Santa Margarita, CA, The Rattle Trap Revival from Valley Ford, CA, plus coverage from our home town car show. Then we take you on a tour of the National Car Museum in Reno, and our project car "BOB" is finally running and on the streets!